Clarinets comprise a family of instruments of differing sizes and pitches. The clarinet family is the largest such woodwind family, with more than a dozen types, ranging from the (extremely rare) BBB♭ octo-contrabass to the A♭ soprano (piccolo clarinet). Of these, many are rare or obsolete (there is only one BBB♭ octo-contrabass clarinet in existence, for example), and music written for them is usually played on the common types. The unmodified word clarinet usually refers to the B♭ soprano clarinet, by far the most commonly played clarinet. A person who plays the clarinet is called a clarinetist or clarinettist. Johann Christoph Denner invented the clarinet in Germany around the turn of the 18th century by adding a register key to the earlier chalumeau. Over time, additional keywork and airtight pads were added to improve tone and playability. 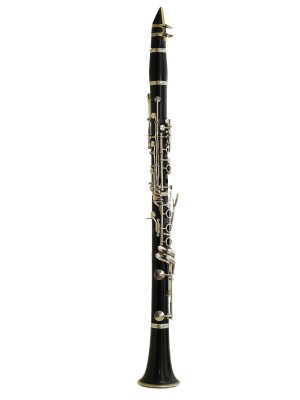 Today, the clarinet is used in jazz and classical ensembles, in chamber groups, and as a solo instrument.